Undercover Mission, Sweet Occasions Edgewater Reviewed by Edgeville Buzz on October 20, 2008 . 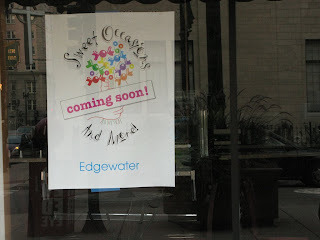 Sometime today I will be visiting the Edgewater location to pick up something for an….occasion. I will post a summary of my stealth visit since I know everyone is anticipating the next update to the Sweet Occasions saga. Trying to decide whether I should wear a disguise.